Over one year into our on-going expansion, we’re glad to report a very early success for the newly established Teesside factory (based in Hartlepool). With a large number of people having a negative outlook on the potential of the UK’s manufacturing industry – so far we can say we’ve ‘bucked the trend’. As the business has grown organically at a constant and stable rate since 2006, Group MD Dave Crone recognised the need to expand the business into new areas. After seeking RGF (regional growth fund) funding [which was agreed in February 2012] the purpose build facility in Hartlepool was erected and functional by the end of May that year. “We base the business around the people and we’ve previously had staff travelling from Teesside to Blyth. In addition to the Enterprise Zone, it’s perfectly situated for our customers, staff & suppliers.” After reaching full capacity in Blyth, with the help of RGF funding – Omega can report a successful first year trading from Hartlepool as more projects are operated on a full turn-key solution. When the RGF funding was initially applied for, Omega intended to create 16 jobs, and additional upgrades to the number of Rapid Tooling & Injection Moulding machines. To date Omega have employed an additional 10 members of staff – of which most are based full time at the Hartlepool factory. In total Omega have employed; four toolmakers, two business development managers, two mould setters, one operator & a marketing officer. Two toolmakers now working for Omega at the Teesside factory [who had a 14 year long stint at another local company] are employee’s Stephen Shipley and Martyn Musgrave – two members of staff who’ve played a vital role in the first year’s success at the Hartlepool establishment. 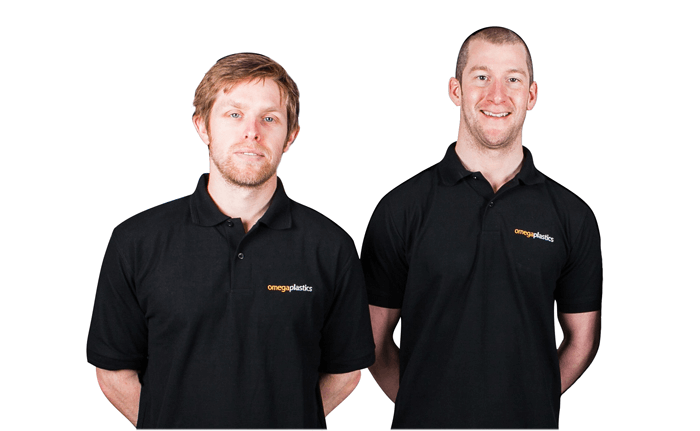 Both Martyn and Stephen joined the company with the input of the RGF funding along with: Dean Conley, John Berry, Steve Shanley, Daniel Gray, Justin Fairbairn, Jonathan Galloway, Michael Winship and Chris Sipos – all who play a pivotal role in the delivery of growing service capabilities at Omega Plastics. Further investment upon the Hartlepool opening surrounds the machinery available for Tooling, Moulding and Assembly capabilities – from CNC Milling machines to 330 tonne Negri Boss Injection Moulding machines. In addition to growing number of staff at Omega Plastics, the service capabilities continue to increase with the introduction of certified ESD (electrostatic discharge) assembly areas in early 2013. “With the ESD areas being located at Hartlepool, we can add value to the end-to-end service requirements some of our clients need. Being able to mould medical products with a Class 8 Cleanroom is great, but the additional capabilities of moulding and assembling [food contact] products which need special equipment to prevent electro static discharge – is invaluable.” adds Quality Manager Paul Anderson. With the continuous investment in the latest machinery, on-going growth of an experienced and highly-skilled workforce we’re putting more products into the market place than we targeted this year. Concluding this year’s success, we are focusing on maintaining and surpassing capacity at the Teesside factory with the help of the RGF funding. “With the input from RGF, we’re still aiming to reach our target by creating another 7 positions within the work force in every department between now and 2015” reports Office Manager Michael Hanley. If you have specific product development requirements or simply need help on taking your product to market, check out our Hartlepool factory by contacting us at enquiries@omega-plastics.co.uk to book your appointment. Our experienced team of engineers can assist you no matter how big or small the project.